All art has an agenda. Some people say that like it's a bad thing, but I'm here to tell you that it's a feature, not a bug. Every piece of writing tells you something about the perspective or worldview of the author. Even the absence of "an agenda" is an agenda. What brought this on recently? I've seen too many people online upset that the new Ghostbusters film is pushing an agenda of gender equality because every member of the new crew is a female. I honestly can't wrap my head around how this is a bad thing. The movie looks at least mildly entertaining and will probably be at least as good or better than Ghostbusters II. And now my daughter will care more about it, which excites me. But some are still upset. Why? Because in a society where men hold all the power, no one blinks when there's a team full of men, but when it's all women, suddenly it's not realistic. That's a symptom of something broken in society. 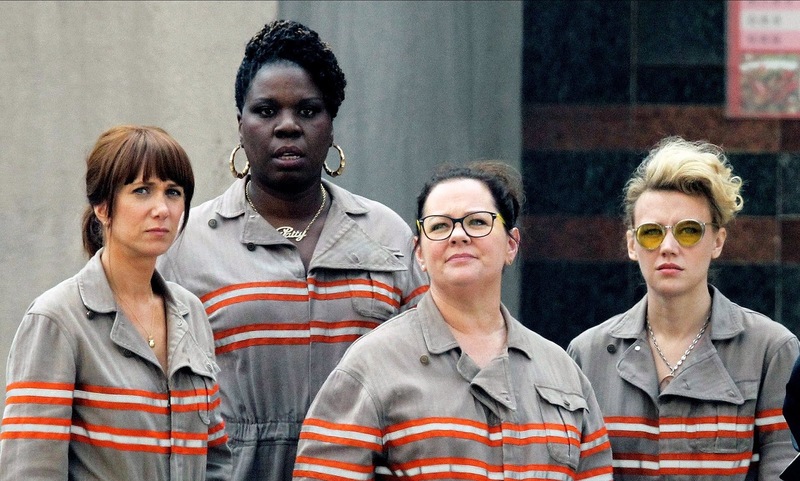 And things like this new Ghostbusters movie are small steps in popular representation to fix that. Next time there's an all-female team of highly competent individuals, the voices calling it unrealistic won't be so loud. They'll be one step more convinced of the reality of the situation. A common refrain I hear when I talk about Star Wars is that the real world shouldn't enter into art. That art is inherently escapist and by inserting the politics of the real world into the universe, you're cheapening it. "Star Wars shouldn't bow to pressures of diversity and a social agenda, it should aim to tell a good story first." And I think you tell a better story when you're conscious of your agenda. George Lucas knew his agenda for A New Hope was about the Vietnam war. He knew that his agenda for the prequels was about the corrupting influence of money in politics. He knew what he was doing and told cogent stories with these themes. When he was called out for not enough racial diversity, he added Lando Calrissian. We can argue that it wasn't enough and the prequels went a long way in adding to the diverse tapestry of Star Wars and The Force Awakens knocked that ball out of the park. Gene Roddenberry did the same thing with Star Trek. Star Trek itself is a show that is designed to show us what humanity can do when we put behind us the useless toil of capitalism and work at the higher levels of Maslow's hierarchy of needs. It's a socialist paradise and full of diversity. Diversity was a huge theme for Roddenberry. Remember how shocking it was that a Klingon was on the bridge of the Enterprise when Star Trek: The Next Generation opened? 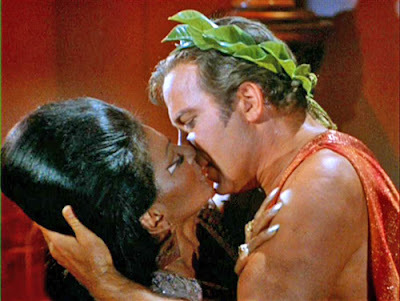 Or how Star Trek had the first kiss on television between white and black people? These ideas seem quaint now. Of course, it's okay for white people and black people to kiss on television. Because Roddenberry's agenda was to make it more socially acceptable. But claiming to not have an agenda is an agenda, too. Consider this: If your science fiction story set in the future is about manly men with ray guns saving damsels in distress, you built a world where sexism wasn't addressed in the past. That's an agenda and not a good one. If your story in the future is populated full of white people, there must have been a genocide of minorities in the past. That ignores all of the demographic data we have today that says the world is becoming less and less white. Hell, Salt Lake City, the city I live in and one of the least diverse in the country, already has a majority of minorities in its school system and that number increases every year. Ignoring all of that to tell a story set in the future is an agenda on its own. Maybe that agenda is merely revealing of your prejudices and world view. Maybe it's more insidious, maybe it's less, but that agendaless agenda exists and is damaging to the forward progression of society. If your agenda is to write vapid stories that don't address agendas and are nothing but "visceral, gut-level, swashbuckling fun," you're writing from the anti-agenda perspective that preserves the status quo. Does anyone believe the status quo to be a good thing? We want a better tomorrow, don't we? So how would arresting the progressive agendas in our art get us there? If we want a better tomorrow, of course, we'll embrace diversity and gender and racial equality and acceptance of different populations we might not even be aware of currently. People write from their perspective, even if that perspective is flawed. But the only way to widen perspectives is to show people stories outside of that perspective and to show people a better way. That's why I love Star Wars and Star Trek so much. They show me lessons about the world with their respective agendas. I appreciate these agendas. I read and watch movies to learn, to see things outside of myself and my worldview, to learn to be a better person. Agendas aren't necessarily bad things. They can be good. Like in Star Wars. Or Star Trek. Or even Ghostbusters now. Aim to be more like them. Pay attention to what you're writing and what your agenda is, even if you don't think you have one. If it's bad for humanity, don't hesitate to scrap it and start over. 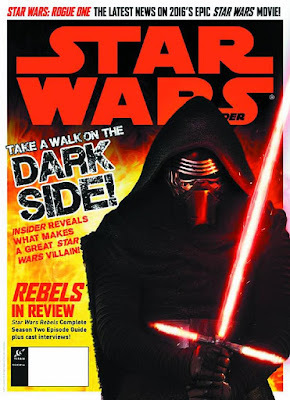 As for my work lately, I have two pieces in the latest issue of Star Wars Insider, the first is the cover story, a dissection of Kylo Ren as a villain with quotes from everyone ranging from Chuck Wendig to C. Robert Cargill. The other is part two of my interview with John Madden and Tom Voegeli, the director and producer of the Star Wars audio dramas. My latest for HowStuffWorks is another Ridiculous History piece, this one about Simeon Ellerton, a noted pedestrian and rock hound. I've also started a Medium account to proliferate some of this writing advice. It wouldn't hurt me at all if you went over there and followed me, read some of the stuff there, and hit the little hearts on it. I'll be posting my schedule for Salt Lake Comic-Con's FanX soon, it's huge and Star Wars heavy. There will be many other announcements in the coming days as well.